The life cycle approach has been adopted at various levels in the pharmaceutical industry since its inception. At a minimum, the quality by design (QbD) approach to product development, continued or ongoing process verification of post qualification batches, statistically driven criteria development, and data-driven decision making across all stages of the process validation life cycle have become industry norms. Enablers such as tools for product, process knowledge management, and quality risk management are essential for effective implementation of a life cycle program. Establishing data-driven controls and processes ensures that there are reliable and consistent processes in place for manufacturing and analytical methods. ICH guidances Q8 (R2): Pharmaceutical Development, Q9: Quality Risk Management, Q10: Pharmaceutical Quality System,1-3 and others are applied in harmony to achieve the desired outcome. Implementing each of the guidances comes with additional assessments, experimental studies, and analysis at each stage of the process validation life cycle. For instance, the industry has implemented the data-driven development approach as stipulated by ICH Q8. Development now involves extensive design of experiments and use of statistical methodologies to develop design space and establish critical material and quality attributes and process parameters. Application of statistical tools ensures robustness of formulation, the reliability of the process, and predictability of the impact of potential future changes. In addition, the extensive knowledge gained during the product design stage helps in applying the best control strategy for the product. The FDA Process Validation guidance4 mandates the use of science and data-driven methods to establish the number of verification batches, to determine process performance qualification acceptance criteria, and the use of predictive tools. 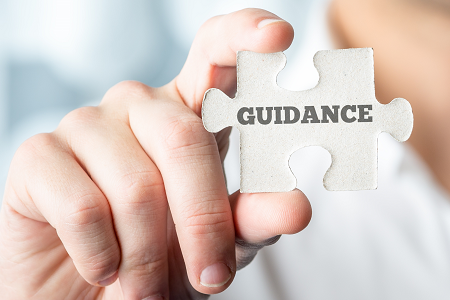 The guidance introduces a definitive stage for continued process verification to ensure continued monitoring. The old concept of process validation as a single activity is no longer an industry standard, as all major regulatory bodies are aligned with the life cycle concept. Process validation incorporates QbD-based process design, process performance qualification, and continued/ongoing process verification. The approach now allows for collection and analysis of product/process data across the life cycle to further enhance the control strategy for continuous improvement. The implementation of process validation guidance requirements necessitates additional statistical expertise and tools, knowledge management, and trending solutions. Risk management tools and data-driven decision making, per regulatory guidance, have become the norm, with the availability of data from all three stages of the process validation life cycle. The approach and investments from the industry have benefited patients and regulators, such that there is added assurance of product quality, thus minimizing the need for oversight, reducing the potential for variability, and lessening the risk of supply chain disruptions for critical drugs. The next step in realizing these goals is to ensure regulatory flexibility in post-approval changes for products developed based on the life cycle principles. This is of interest for the industry, regulators, and patients because it will allow the required continuous improvement changes to be made without delay. Such changes will improve manufacturing and analytical efficiency and accuracy and reduce the overall risks to the patients, while keeping drug substance and drug products affordable. The regulatory flexibility gained, which is based on collected data, further triggers innovation post-commercialization, of which the pharmaceutical industry currently lacks in comparison to other high-tech industries. ICH Q12 Technical and Regulatory Considerations for Pharmaceutical Product Lifecycle Management5 addresses post-approval changes in the commercial phase of the life cycle. The previous ICH guidances, including Q8, 9, 10, and 11, enable science- and risk-based decision making. Q12 provides the tools for flexible regulatory approaches for introducing post-approval changes, which may be prompted by the organizations’ continuous improvement initiatives, such as continuous process verification programs. Application of ICH Q12 tools are pivotal in the success of the life cycle approach. The guidance enables categorization of changes based on risk, including the types of regulatory communications expected. The established conditions (ECs) provide clarity on the aspects requiring submissions when change is proposed. The post-approval change management protocol (PACMP) is one of the major tools proposed in ICH Q12 to allow predictable changes based on presubmitted acceptance criteria. The regulatory agencies and market authorization holder (MAH) will be in agreement on the type of changes and associated requirements. This preapproval helps in continuous improvement predictability and flexibility that allows for introduction of the latest innovations in manufacturing sciences as well as to make continuous improvement changes. The product life cycle management (PLCM) is a compilation of the ECs and the reporting category for changes to ECs. The relevance of PLCM documents is not well understood. Components that come under the proposed PLCM document – CS, EC (Established Conditions), PACMP – can be submitted as part of the CTD (Common Technical Document). The PACMP already has its own post-approval commitments. Upkeep of a separate PLCM document for each product will be an additional resource requirement that does not add any value for the MAH, the regulator, or the patient. In particular, it may impact effective implementation and upkeep of ICH Q12 change requirements for the generic drug product industry, as the product portfolio is typically high (e.g., a firm can have 400 small molecules with multiple dosage forms and strengths). Generic drugs constitute ~90 percent of prescription volumes6; hence, generic-friendly measures are imperative for the success of ICH Q12 implementation. Pharmaceutical quality system (PQS) elements are a prerequisite, as per ICH Q12, to implement the changes. However, cGMPs and ICH Q10 PQS are the basic building blocks for any pharmaceutical organization to function and successfully meet regulatory inspectorate body expectations, similar to the other prerequisites, such as the concepts presented in ICH Q8 and ICH Q 9. The need for further regurgitation of PQS as a separate chapter in ICH Q12 is not well understood in this context. The prerequisite of having ICH Q12 proposed post-approval change management process is application of ICH Q8 to Q11 principles and implementing continued process verification to increase product/process knowledge. The QbD principles and monitoring should be applicable for both manufacturing process and analytical test methods. It is well established that analytical variability is a significant contributor to the total variability observed. However, the analytical procedure change section in the ICH Q12 guidance discusses a traditional approach, contradicting the life cycle approach that is the basis of Q12. The USP stimuli article on life cycle management of analytical procedures is consistent with QbD principles and suggests integrating traditional approaches into analytical procedure life cycle process, thus modernizing it.7 The mismatch between the process and method sections are very evident in the guidance. Though there are shortfalls in the guidance, which was developed through consensus, effective tools such as the PACMP will enable organizations to take advantage of implementing life cycle concepts. Post-approval change management needs to be a well-run program in organizations to proactively apply the tool. Once continuous improvement measures are identified though the mandatory continuous or ongoing process verification program, an organization should have a well-functioning system to get through implementing the recommended changes. This is where there is a need for convergence of commercial operations or the analytical team (the beneficiary group) should be working with development and regulatory groups to develop strategies prior to commercialization. Once commercialized, continued assessment of the change factors listed in the PACMP to enable proactive continuous improvement should be ongoing. The organization can financially benefit from introducing a post-approval change management department (PACMD) responsible for assessing efficiency improvement changes and changes needed to minimize risks of failure modes. Such a PACM team, under manufacturing science and technology or technical operations, will soon be essential for any business organization to function in a cost-effective and predictable fashion. The department should be responsible for identifying and proposing the types of potential changes at the time of submission, in consultation with development and regulatory functions. The convergence of regulatory agencies and acceptance of ICH Q12 across multiple agencies opens up opportunities for changes with minimal supply chain disruptions. The guidance facilitates management of post-approval CMC changes in a predictable and efficient manner. Application of the PACMP will reduce future submission activities and associated costs. There is an overall gain in expenses and time burdens for industry and regulators, while assuring that patients have access to drug products. The guidance ensures that the industry realizes the benefit of applying innovative manufacturing technologies on a timely basis. Such tools enabling preapproval of potential changes, along with the associated criteria, increase the transparency between industry and regulators, the MAH and manufacturers, as well as regulatory reviewers and regulatory inspectors. ICH Q12 underlines the success of regulatory authority collaboration. There have been several collaborations, such as the Canada-United States Regulatory Cooperation Council (RCC), which was created in February 2011 to better align the two countries’ regulatory approaches, and the FDA and EMA joint pilot program for parallel assessment of QbD applications. The efforts show that the ccommunication between regulators has started. As an organization, it is high time to ask whether we are ready for this change. The guidance is under consultation while harmonization efforts are ongoing. The life cycle guidances such as quality risk management (QRM), quality by design (QbD) approach, and pharmaceutical quality system (PQS) are well established in the industry. Now it is up to each one of us to regularize use of the post approval change management protocol for the benefit of patients, organizations, and regulators. ICH. Harmonized tripartite guideline, Pharmaceutical Development Q8 (R2). https://www.ich.org/fileadmin/Public_Web_Site/ICH_Products/Guidelines/Quality/Q8_R1/Step4/Q8_R2_Guideline.pdf. Published August, 2009. Accessed November 16, 2018. ICH. Harmonized tripartite guideline, Quality Risk Management Q9. https://www.ich.org/fileadmin/Public_Web_Site/ICH_Products/Guidelines/Quality/Q9/Step4/Q9_Guideline.pdf. Published November 2005. Accessed November 16, 2018. ICH. Harmonized tripartite guideline, Pharmaceutical Quality System Q10. https://www.ich.org/fileadmin/Public_Web_Site/ICH_Products/Guidelines/Quality/Q10/Step4/Q10_Guideline.pdf Published June, 2008. Accessed November 16, 2018. ICH. Harmonized tripartite guideline, Technical and Regulatory Considerations for Pharmaceutical Product Lifecycle Management Q12. https://www.ich.org/fileadmin/Public_Web_Site/ICH_Products/Guidelines/Quality/Q12/Q12_DraftGuideline_Step2_2017_1116.pdf Published November, 2017. Accessed November 16, 2018. Association for Accessible Medicines. 2018 Generic Drug Access & Saving in the U.S., AAM website. https://accessiblemeds.org/sites/default/files/2018_aam_generic_drug_access_and_savings_report.pdf. Accessed November 9, 2018. USP. Lifecycle Management of Analytical Procedures, Stimuli Article. https://www.uspnf.com/sites/default/files/usp_pdf/EN/USPNF/revisions/lifecycle_pdf.pdf. Published July, 2013. Accessed November 16, 2018. Naheed Sayeed-Desta has been responsible for providing strategic directions on life cycle management for over 300 active solid-dose products. Sayeed-Desta champions delivery of science- and risk-based approaches from traditional to novel manufacturing technologies. She is a proven leader in pharmaceutical manufacturing science and technology. Her expertise in providing pragmatic solutions for manufacturing operations is well recognized. She has been the lead author of journal articles. Sayeed-Desta is also an active contributing member of pharmaceutical industry organizations. Ajay Babu Pazhayattil, M.Pharm, has held key management roles with brand name, generic, and contract manufacturing organizations. He is an industrial pharmacist with experience in multiple segments of pharmaceutical operations. Pazhayattil has extensive experience conducting global GMP audits and has conceived, implemented, and promoted novel technology innovations based on sound scientific principles. His experience extends through solid-dose, liquids, and small and large volume parenteral dosage forms. Pazhayattil is involved with industry organizations and has published multiple journal articles. Marzena Ingram is a pharmaceutical industry professional with extensive quality assurance and technical operations experience; she holds a senior management position. Ingram developed a specialized continued process verification team and spearheaded the implementation of a product life cycle program to meet global regulatory requirements. She also introduced statistically driven product assessment processes and led the implementation of a comprehensive life cycle management software solution. Ingram has authored multiple pharmaceutical journal articles. Note: This article was prepared by the authors in their personal capacity. The opinions expressed are the authors’ own and do not reflect the view of their employer, government, or any agency with which they are affiliated.